Contact Us below to ask us anything, request a detailed information pack about one of our holidays, or to send us your own itinerary or tailor-made trip. We are South America specialists, so start your dream holiday to South America with us today. 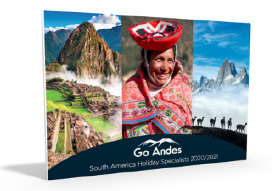 You can also email us: info@goandes.com, or call us: 01233 501 034.